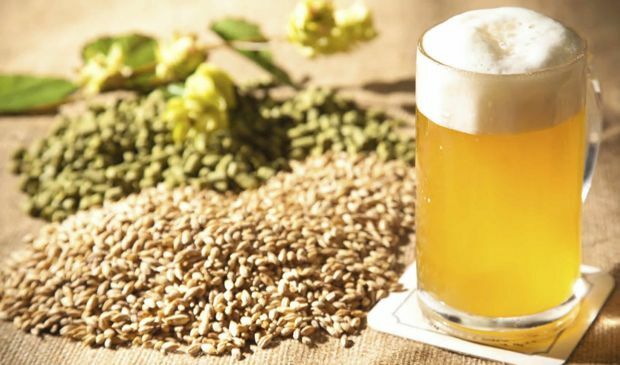 Craft Beer – Make It Yourself! So, what are we waiting for? Let’s get brewing! Home brewing is done using a basic “kit-in-a-can”. (Sort of like a dump-in-a-bowl dessert mix.) Check out our Shop and click on “Home Brew Kits – Easy” for some good starter kits. If you want really good beer, this is not the best choice. But it can be a good place to start for the complete beginner. Brewing processes use “extracts” and hops, which is best used with “steeping grains”, for added flavor and/or color. Check out our SHOP and click on “Home Brew Kits – Intermediate” for some good intermediate kits. This is a good place to start if you have any type of cooking or chemistry experience. By experience, I do mean a good experience. If you burned the pasta, or blew up the lab, you may want to start at the basic level. “Extracts” are the fermentable sugars that come from malted grains. They are available in either dry or liquid form. “Steeping grains” are grains that do not need to be mashed. Also may be called specialty grains. They are steeped, like tea, during the beer making process. “All grain” brewing offers the brewer, either home or commercial, the most variation, control, and creativity. The downside is that it also requires more equipment and a bit more knowledge and expertise. Check out our Shop and click on “All Grain Brew Kits”. Don’t be scared away from all grain brewing. There are ways to utilize this advanced technique and still get great results with only a bit of extra equipment over that which is needed for basic or intermediate. Primary or Secondary Fermenter (Carboy). Why is it called a carboy? It’s said to have derived from a Persian word that means “big jug”. For better clarity of your brew, use two fermenters. The first one will be for the majority of the fermentation process. During fermentation weak or dead yeast, undesirable proteins and hops residue will collect on the bottom. This sediment is called trub. By racking* (transferring) to the secondary you leave most of the trub behind. When you rack for the first time you’ll probably be surprised how much yuck and odor there is. Ooh. 🙁 We want that out of our fermenting beer. *Be very careful when transferring (racking) the brew. Complete sanitation is a must! Also, make sure that no oxygen gets into the brew at this time. Oxidation creates off flavors. Racking’s not hard to do. Just use the knowledge you learn here, plus the “How to Make Beer” info from your beer kit. In choosing your fermenter, keep in mind that glass is non-porous and when thoroughly cleaned, doesn’t retain odors. But, glass is heavier and can break, so make your own choice. The carboy, either glass or translucent plastic, needs to be covered & protected from all light to prevent “skunking” the flavor of your beer. I use heavy black contractors’ plastic – shaped and taped to fit – then placed over the carboy like a sheath. “Skunked” refers to the smell that develops when hop components in beer are exposed to light. The chemical mercaptan is produced, which is very similar to a skunk’s odor. Liquid Crystal Strip Thermometer – Place on side of carboy to monitor the fermentation temp. Position about half way between the top and bottom. Placing a strip of clear 2” packing tape over the thermometer helps prevent water damage to it when cleaning. After the carboy has been emptied, completely clean it with very hot, clean dishwater and rinse it thoroughly. Then use the powdered cleaner that comes with your kit. Powdered Brewery Wash is considered one of the best cleaners. How to Make Beer is just one of many informative articles in Black Bucket Brew – a weekly BeerZine. Subscribe Now for your free emailed copy!